The CoffeeShop Blog: CoffeeShop "Vintage Blue Luxe" Photoshop/PSE Fine Art Action! CoffeeShop "Vintage Blue Luxe" Photoshop/PSE Fine Art Action! I am really excited to post my newest fine art action called "Vintage Blue Luxe". This is a beautiful enhancement that applies a vintage cool tint with completely customizable contrast. I usually prefer adding a soft matte-effect, but you can also add very dramatic contrast or anything in between. 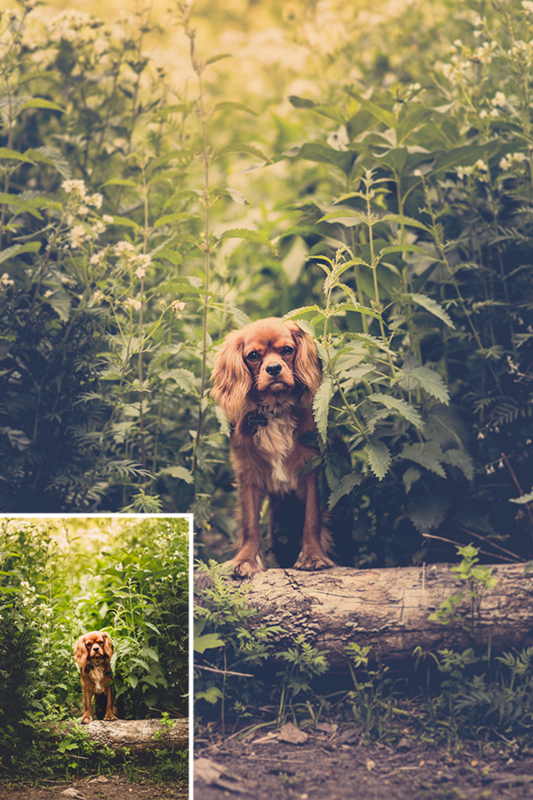 Original images from Unsplash used in my examples: (man in forest, dog, young woman in ivy, brown dog). It is so easy to go from the before to the after in this beautiful dog image. Run the action on the image. 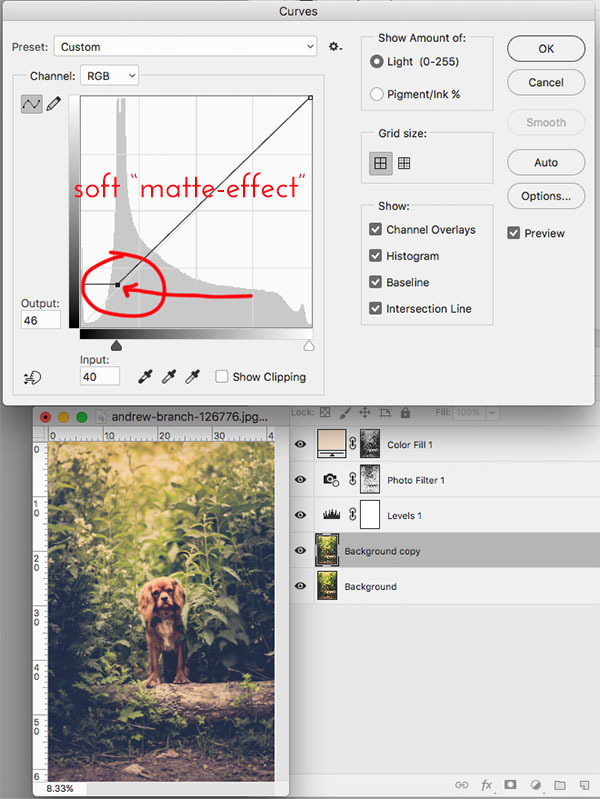 When the Curve's adjustment layer pops up, adjust the position of the point circled in the screen shot above to adjust the contrast. In this example I went for a soft matte-effect. In this version I wanted a nice contrast boost. 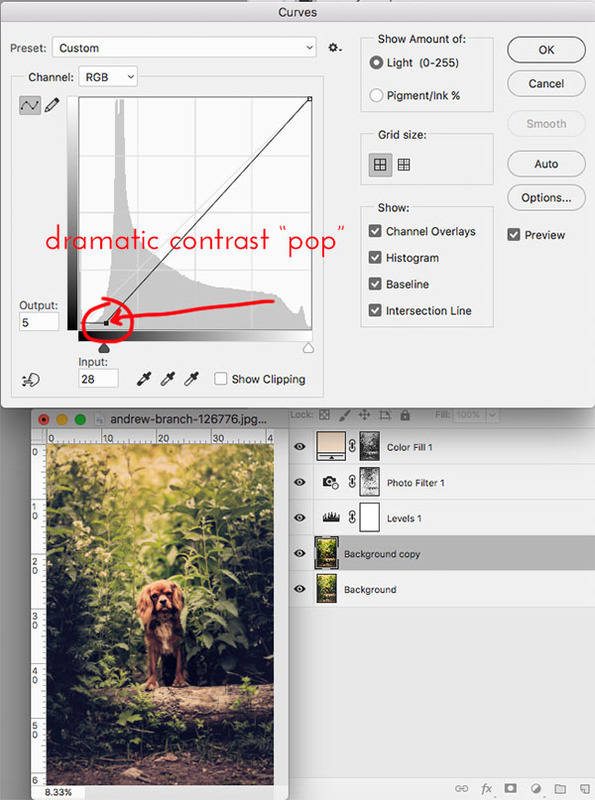 The beauty of this action is you can customize the contrast for each image! I would love to see your own before/afters using this action on my Facebook page. 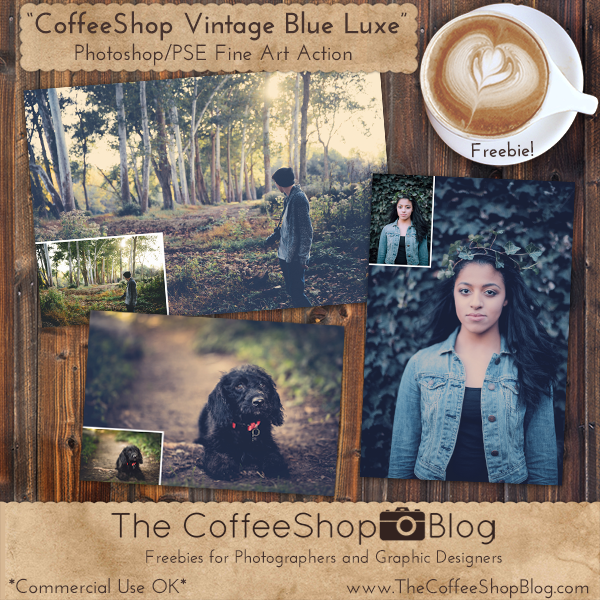 Download the CoffeeShop "Vintage Blue Luxe" Photoshop/PSE Fine Art Action.